Has Ebola Actually Killed A Third Of The Planet's Gorillas? To the Ebola virus, it matters little whether you are a human or great ape. If there is a difference, it's that the disease hits our hairer cousins harder. Among gorillas, the virus has up to a 95 percent mortality rate, compared with roughly 50 percent for humans, according to the World Health Organization. In a 2011 study, a pair of primatologists estimated that Ebola has killed one-third of the world's gorilla population and a "slightly smaller proportion" of our chimpanzees. 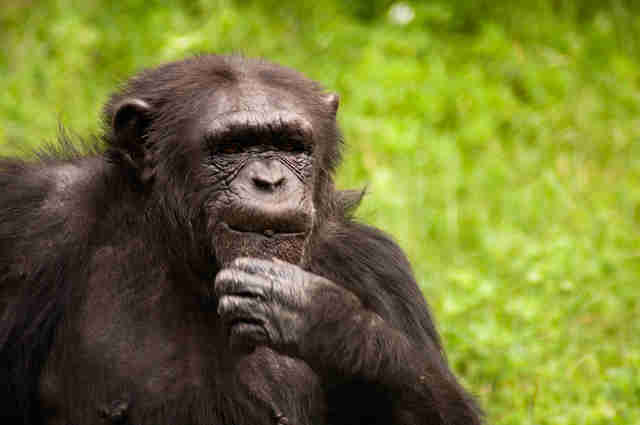 Some have even suggested that the disease may be the biggest threat to our primate relatives. But one expert says it's impossible to pin down Ebola so precisely. "We do not have any evidence (in one direction or the other) that one-third of the great apes died from Ebola," Dr. Damien Caillaud, a gorilla behavior expert at the Dian Fossey Gorilla Fund International, told The Dodo. As he pointed out, no one knows how many chimpanzees and gorillas are left in the wild. The International Union for the Conservation of Nature notes that gorilla densities are tough to measure and lists chimpanzee population numbers as "crude." Ebola's impact may be hard to quantify, but that shouldn't diminish the fact that it is a very real threat. "We do have evidence that thousands of animals died," Caillaud said, "and that's already pretty dramatic." In 2004, Ebola killed 95 percent of a 400-strong gorilla population in the northern part of the Republic of the Congo. Caillaud was among the scientists monitoring the gorillas. "Hundreds, if not thousands, of additional gorillas living around this small population were also killed," he said, but it was beyond the scope of their observations to count beyond the 400. Around the same time, Ebola was responsible for the deaths of 5,000 other gorillas in the Congo and Gabon. Scientists have implicated Ebola in the unusually low sightings of gorillas in the Minkebe region of Gabon in the 1990s. 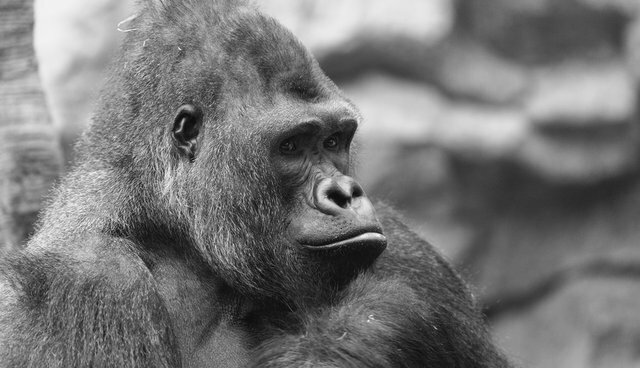 Due to the location of the ongoing West African outbreak, this epidemic is unlikely to harm the central African gorillas or chimpanzees that Ebola historically infects. 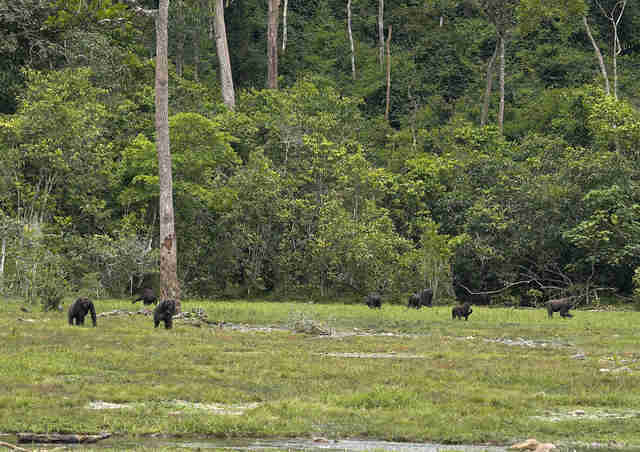 "There doesn't seem to be any effect on neighboring ape populations," Ria Ghai, an ecologist at the University of Georgia, told The Dodo. In light of the danger that Ebola poses, steps are underway to create a great ape vaccine, which has been championed by primatologists like the University of Cambridge's Peter Walsh. (Likewise, researchers are developing a human vaccine, but it is not yet licensed for widespread use.) Early trials of the ape vaccine are promising, though the hurdle of inoculating skittish wild gorillas and chimps will be tough to clear. Assigning Ebola the title of biggest threat to great apes, however, places too much blame on disease. Such a heavy crown, sadly, belongs to humans. "The number one threat is still, by far, the bushmeat trade and the logging industry," Caillaud said, echoing conservation groups like the WWF. 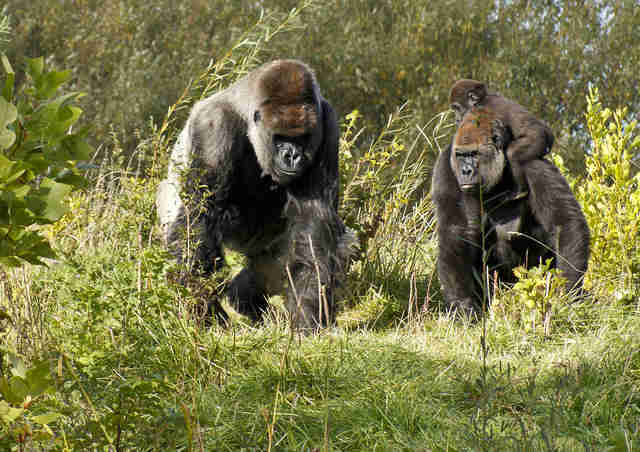 A 2009 undercover investigation in the Republic of the Congo, for instance, found that a single group of poachers halved a local gorilla population in 12 months; an estimated 300 gorillas, the investigators said, were sold in the country in the course of a year. There are ways to help: The Jane Goodall Institute is asking everyone to recycle old cell phones to slow the loss of chimp habitat to mining. Supporting conservation organizations, such as Gorilla Doctors, the Jane Goodall Institute and the Dian Fossey Gorilla Fund, of which Caillaud is a part, benefits the apes, too. "We protect hundreds of critically endangered gorillas and chimpanzees against poaching in Rwanda and Congo," Caillaud said, "and support the development of local, bushmeat-free economies in Africa."